When you first get a new phone, it seems like the coolest thing in the world. Within a few weeks though, the shine wears off. Your kids have marred the pristine finish with greasy hand prints, dirt and strawberry jam. Within a few months, its speed inexplicably drops. The cool apps you heard about are nowhere to be found or, worse, aren’t compatible with your hardware. By the end of the first year, you’ve started the long wait for upgrade eligibility. 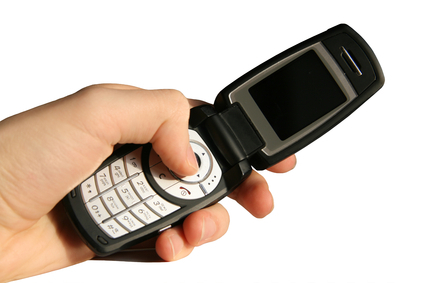 Simultaneously, you begin fantasizing about throwing your phone against a brick wall every time it drops a call. When you finally get that new phone, will you destroy the old one or simply donate it? If you have young children, there’s no reason to even come up with destruction ideas. Simply place it within their reach and tell them to please be very careful with this important and expensive device. If placed sufficiently off-limits, it should be destroyed within a few hours. All you need to do is pour a drink, relax, and watch the show. If you’re feeling creative and it’s time to replace your garbage disposal, you should get ready to experiment. Simply rinse your phone down the kitchen sink, flip the disposal switch, and see what happens. Chances are your garbage disposal will shut itself off before your phone is fully destroyed so you may want to preheat the phone to soften the plastic. Bonus points for capturing the majestic demolition on your new phone without damaging it. If cooking is not your thing, grab your gun because it’s time for target practice. In a fun YouTube video, a friendly Russian chap tries to blow up a few old cellphones with an air soft pistol. He’s using the phones as targets, but sadly, the bullets don’t destroy them as flip phones deserve to be destroyed. Still, it’s a good start and there’s nothing that says that’s the end of the destruction express. Running your old phone over with your car may feel like the most satisfying thing you ever do, but why stop at using a car? Why not match your phone up with a bus? Or even better, with a double decker London red bus? If you can’t get to London, you could head to the tracks and let a train massacre your old phone? Bonus points if, like this guy (shown in a YouTube video), you can use the old phone for one last video. This cellphone owner popped on his phone’s video camera, threw the phone between some train tracks, and recorded the entire train as it sped by above the phone. It’s a daring and delightful end for a now useless device. If you’ve found your Zen and lost the urge to go postal on that old phone, several organizations would be happy to recycle or donate it. The folks at LifeLock recommend securely deleting all of your personal information before destroying or donating your phone. The personal information on that device shouldn’t come back to haunt you through identity theft. It’s put you through enough already, hasn’t it?